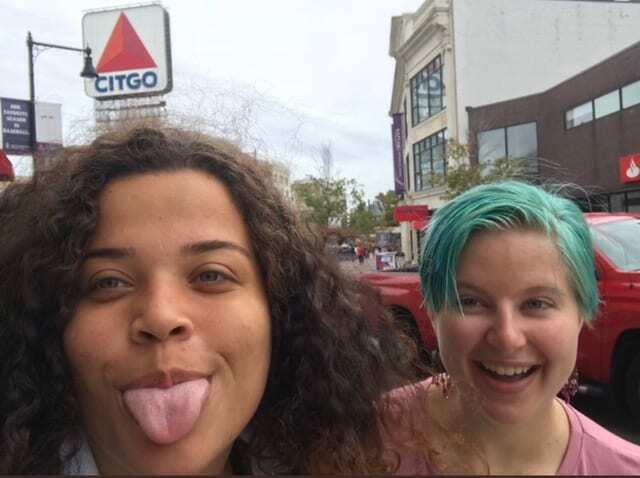 Congratulations to Anna White and Savannah Wilkinson for being the first students to tweet a selfie from the September 7th #FindMeFriday location! The fact I find most interesting about the CITGO sign that I only recently learned is that it wasn’t always the CITGO sign. Before changing its name to CITGO, the company was Cities Services and in 1940, the green and white (pictured below) sign was installed above its divisional office at 660 Beacon Street headquarters. In 1965, the company changed names, the sign was replaced, and a star was born…okay, okay, it’s a triangle, work with me here, people. In 2004, the sign began a six-month restoration period to replace the 5 miles of 5,878 glass neon tubes. They were replaced with thousands of LEDs which allowed the sign to be far more durable and energy efficient. This change also eliminated the buzzing from the bulbs that many neighbors complained about. The new sign was unveiled in March 2005, but went through another upgrade in July 2010 to install upgraded LEDs to better handle the winds and high temperatures. The sign has been shining ever since, except after midnight, which is when the lights are scheduled to turn off until daylight. While the 60’x 60’ sign has had a history of challenges, power outages, facelifts, energy source changes, neighbor complaints, and planned dismantling, in the end, 53 years later, it is one of the most recognizable landmarks in the country. It has appeared in dozens of movies, has been referenced in songs, written about in books, and highlighted in every photograph of the Boston skyline. 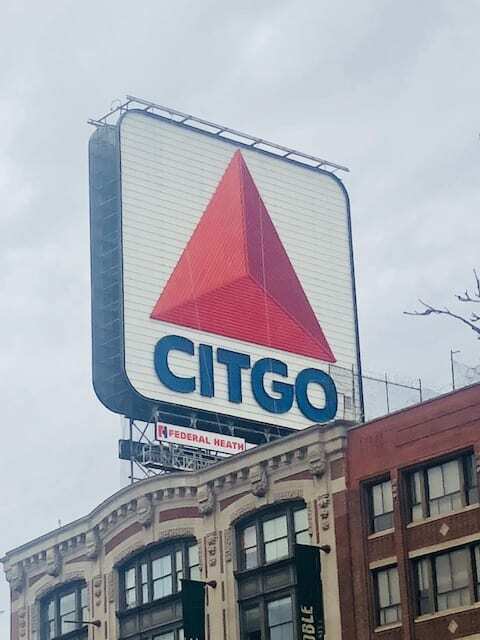 Whether you are driving into the City on the Pike, crossing the Mass Ave Bridge, walking along the Charles, running your final mile of the Boston Marathon, or watching a Red Sox Game, the CITGO sign catches everyone’s eye. You can CIT or you can GO see your city. I recommend the latter!